Look no further for your perfect fall coat! 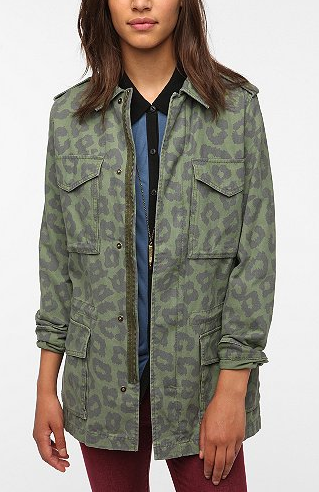 I love the army jacket look, but this piece definitely stands out with its leopard print! Buy at Urban Outfitters for $79.